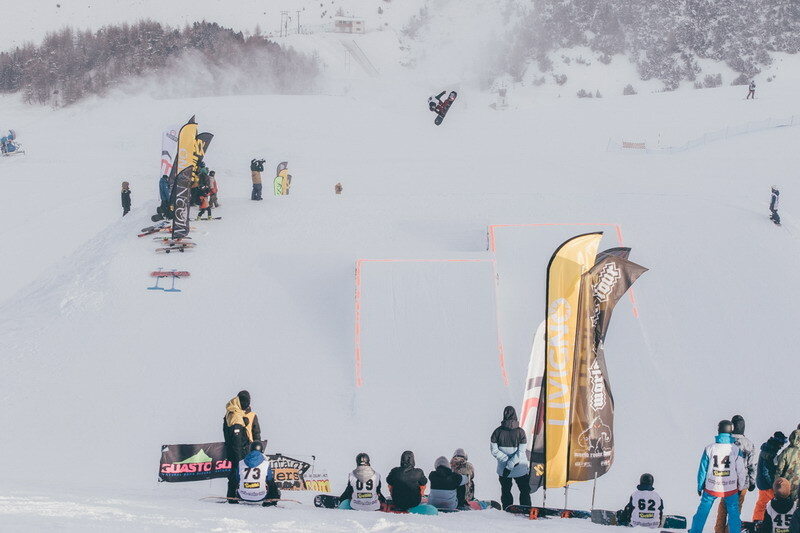 World Rookie Fest, the most famous youth snowboard freestyle event in the world, took place in Livigno, Italy, at Mottolino Fun Mountain, with 155 riders from 18 different nations. The largest edition ever was a big success despite the unstable weather conditions, so that qualification day had to be cancelled due to heavy snow storm and strong wind. 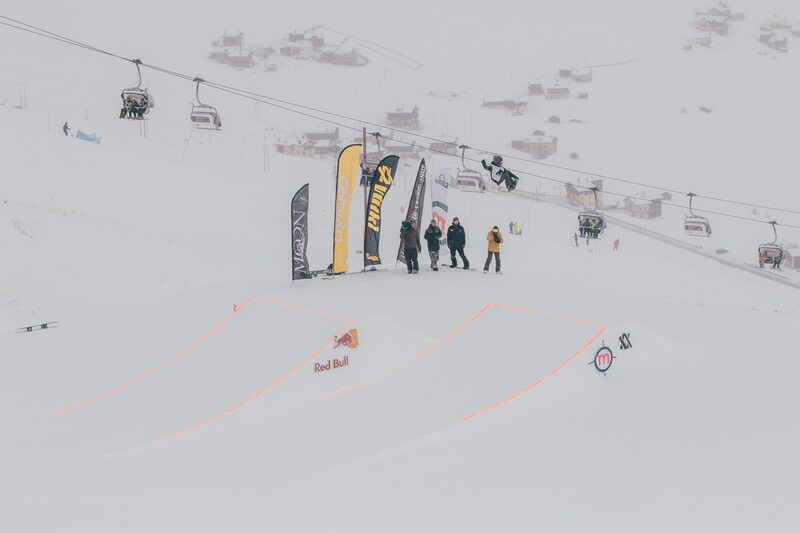 However, for the final day the organizers could use a window of less wind and made contest with two runs for each rider in each category, and the international young snowboarders were able to push the competition at a high level. Black Yeti proved once again that the future snowboard pro riders are just around the corner. After Norwegian team’s nine consecutive victories as Best Team, and the last year victory of the Swiss Team, another team wins, Netherlands, with two riders at the top of the Rookie Boys’ rank and a second place in the Grom Boys’ category. “Luck of snow and bad weather didn’t stop the event thanks to the energy of a great staff, motivated riders, an enthusiast crew and the shaper team of the Mottolino Snowpark.” stated Marco Sampaoli, WSF Vice President and event organizer “We are very happy for this successfully edition, the largest but also the most difficult edition ever”. Dutch young gun Erik Bastiaansen took the first place in the Rookie category with a solid run. He impressed the judges and scored 90.03 points in his second run with Cab10 indy on the jump and Cab180 to 50-50 3 out over the a-frame. Erik wins ahead of another dutch rider, Niek Van Der Velden, and the Australian “Party King” Tom Harveyson. The high number of Groms was an impressive element: 55 of 155 participants were under 14, showing a powerful renewal among the new snowboarders. Best Grom of the 2016 World Rookie Fest was young Swiss rider Elias Rupp, wins with a stylish run: Switch Back7 mute to cab 180 in 50-50 back 180 out from the a-frame. Casper Wolf from Netherlands and Samuel Camenzind from Switzerland. On the girls’ side, Finnish rider Henna Ikola left 15 other Rookie Girls behind her by landing a huge Backside540 indy on the big kicker to a stylish cab 180 to 50-50 on the box. In the rest of Scandinavian podium two Norwegians: Nora Frisvold and Hanne Eilertsen. Tina Steffensen from Norway showcased a great performance as best Grom girl with a huge Backside360 tail on the big kicker to 50-50 out from the a-frame, ahead of Luan Salgueira from France and Emma Gennero from Italy. “Probably it was one of the most difficult competition I’ve directed ever. Due to bad weather for 4 days in a row we were forced to change the program more than one time, change course, but I never give up. The working team and Mottolino Snowpark were always ready to follow my reserve plan and in the end, we did it. Thanks to riders, coaches, parents to the patience, and a special thanks to my team” stated Gian Luca Zanetti, WRF Race Director. All the riders competed for prestigious awards including three all-inclusive tickets for the 2016 Volkl World Rookie Finals in Ischgl and two for the 2016 Trentino Rookie Fest in Monte Bondone. All the athletes on the podium are qualified for the 2016 Volkl World Rookie Finals! Black Yeti congratulates all the riders who showed great style, battling the slopestyle in such hard weather conditions.